Canadian left winger who won a Stanley Cup title with the Boston Bruins in 2011. He also helped the Bruins reach the 2013 Stanley Cup Finals. He was traded to the Los Angeles Kings in 2015 and signed with the Edmonton Oilers in 2016. He started his junior league career with the Western Hockey League's Vancouver Giants in 2004. He was the Captain of Canada's Junior International team in 2007, leading them to a gold medal at that year's Super Series. He married Brittany Carnegie in 2012. Together, they had daughters named Valentina and Nikolina. 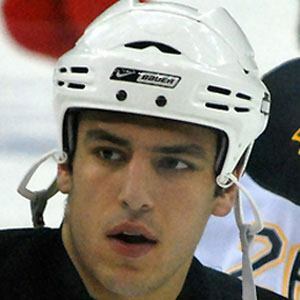 He won the Stanley Cup with teammate David Krejci in 2011.